This is the fourth year that the Riviera Maya Film Festival has brought glamour to this tropical paradise. Today starts the Cancun leg of the Festival, bringing National and International films along with glamorous movie stars promoting their films. The Riviera Maya Film Festival has attracted big Hollywood celebrities in the past and this year attracted the likes of Aaron Paul and Ashley Green. Celebrities love to vacation in the Cancun, it’s the place to see and be seen. Gorgeous beaches, terrific weather, beautiful people and outstanding real estate properties. Many famous people own beachfront vacation homes in Cancun; escaping their hectic life for a little R & R.
So if you want to keep with the “in” people take a look at these luxury real estate properties in Cancun. You too can live like a movie star in Cancun…or just dream about the fantasy life. Villas del Mar is nestled in the heart of the Cancun Hotel Zone. This beachfront estate is an exquisite example of luxury at its finest. This property actually has two condos with great rental potential. The main condo has three stories with breathtaking panoramic ocean views, five bedrooms with en-suite bathrooms, two large terraces and a Jacuzzi in the main room. The guest condo has two stories, 2 bedrooms with en-suite bathrooms, a large terrace, main room has a Jacuzzi and the condo features beautiful ocean view as well. Both luxury condo feature quality finishes, Spanish marble flooring, granite countertops, a laundry room and a covered garage. Additionally, the property has beautiful swimming pool and garden to relax and enjoy life. Las Olas Residence & Spa, Marina front condos designed by the famous Italian designer Pinifarina. Las Olas is located in the Cancun’s Hotel Zone. The penthouse features incredible views of the marina, five spacious bedrooms, and four and a half bathrooms. This amazing development has many luxury amenities such as a beach club, a gym, a spa and of course, the marina and the yacht club. This exclusive development is perfect for enjoy your vacations or as an investment property. Live the marina life at Las Olas! Bay View Grand Portofino is just steps away from the Hotel Zone. 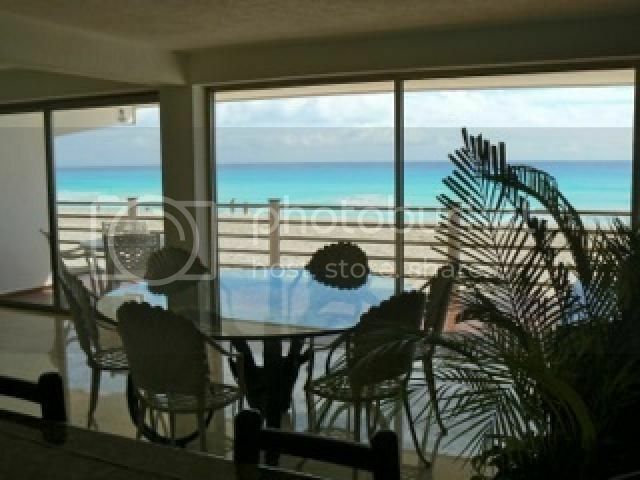 This four bedroom, five bathroom, beachfront penthouse features breathtaking ocean views with floor to ceiling windows. The penthouse comes fully furnished with marble floors, granite countertops and a built-in kitchen. 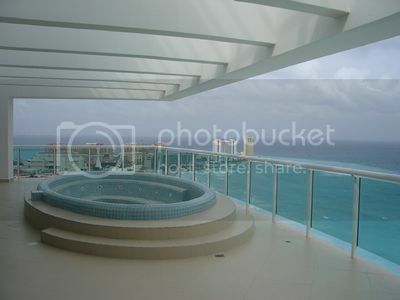 This luxury Cancun condo has spacious terraces with a Jacuzzi and spectacular views of the lagoon and the Caribbean Sea. The property also comes with maid’s quarters with a full bathroom and appliances. Portofino has beautifully landscaped grounds with a swimming pool, deck, gym, spa, a tennis court and 24 hour security. The convenient location and spectacular sandy white beach make this the perfect place to enjoy paradise. Glamorous movie stars, fabulous beaches and terrific weather… who wouldn’t want to live here! Now if you have any questions about any of the Top Mexico Real Estate properties we have listed in Cancun, please feel free to contact any of our Top Buyers’ Representatives and we will be glad to help you find your very own piece of paradise.